In this lesson, we’ll explore how creating an online business strategy can have a positive impact, what a good strategy looks like, and common things you can implement to achieve your business goals. Imagine you've set a new fitness goal to become more flexible. Now, going for a 10 mile run may be great for your cardio, but it won't help you achieve that bendy yoga position you’ve got your eye on. In order to do that, you’ll base your workout around key areas that will help you achieve your goal, in this case becoming more flexible. Running may be a part of it, but stretching is more likely to help you succeed. Likewise, identifying actions tailored to your goals will provide you with a better understanding of how to meet your business needs. Next up is articulating what your business stands for. This can be represented by a simple sentence, generally referred to as a mission statement. For example, this might be “to inspire healthier communities” or “to provide fun spaces for everyday fitness". You also need to identify your Unique Selling Point (or USP) - this is what makes you stand out from your competition online. Find out what makes you different by looking at businesses doing similar things, and work out what sets you apart. For example, if customer service is what sets you apart from your competition, this is your Unique Selling Point. So how do these benefits stack up in real life? Let’s take a look at Rachel's Kitchen that used a strategy to maximise their impact online. 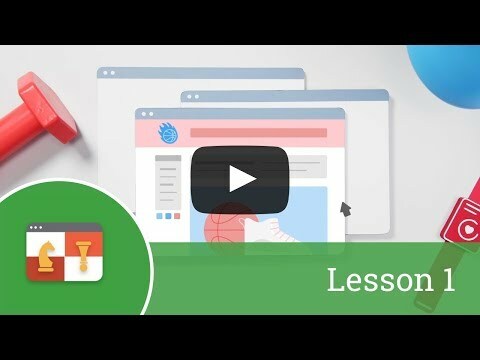 If this lesson has got you thinking about your own online business strategy, be sure to explore the additional resources at the end of this topic to learn more.